The public is invited to Coffee with a Cop. 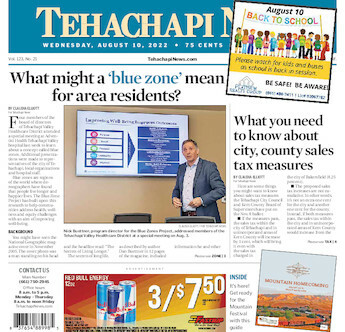 The events will be held from 8 to 10 a.m., and from 4 to 6 p.m. at the Tehachapi Police Department Community Room. The coffee is courtesy of the Tehachapi Police Foundation.